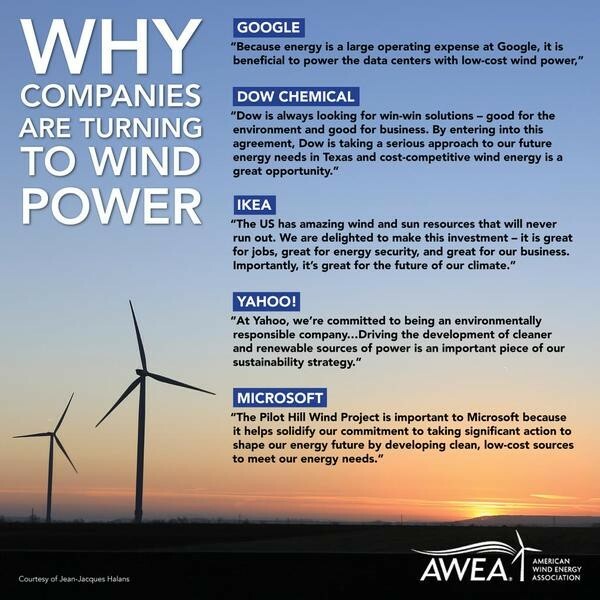 Companies in their own words explain why they are turning to wind power. Companies are turning to wind energy. Here some household names explain in their own words why they are turning to wind energy. Most of the companies featured have bases, and are creating jobs here in Ireland. You can also check out our homepage to see even more companies, including familiar names such as Glenisk Organic yogurts who are using wind energy to power their Irish work.